PHILADELPHIA—Now that we know that Nick Foles is going to be on the shelf for six to eight weeks with a broken collarbone, Eagles running game and quarterback Mark Sanchez will have to carry the team’s drive to the playoffs in the second half of the season. The Eagles (6-2) open the second-half of the season with a Monday Night contest against the Carolina Panthers. In Sunday’s win over the Houston Texans, the Eagles ground attack, which has been inconsistent throughout the season, came up huge. 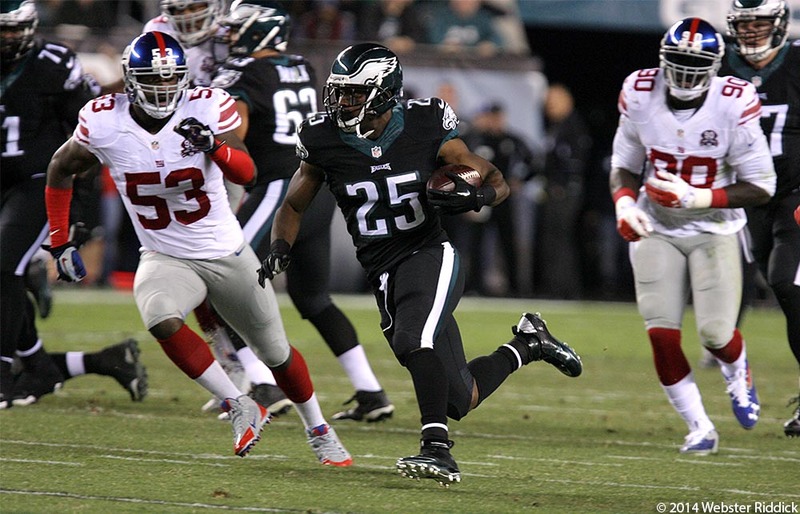 For starters, LeSean McCoy gained 117 yards on 23 carries. As a team, the Eagles amassed 190 yards on the ground including an additional 50 by back-up running back Chris Polk, who also scored a touchdown. If there was an indication of how dominant the Birds ground game was last Sunday, it was late in the third quarter when the Birds drove 70 yards on four running plays to take a 24-14 lead they would never relinquish. They simply wore down Houston’s defense. The Eagles ran at the Texans with McCoy, Polk and the always-dangerous Darren Sproles, which gives them a three-headed monster from the running back position. Whether the Birds running game will be strong enough to carry to the postseason will depend upon whether or not Matt Tobin can successfully fill in for Todd Herremans, who is out for the season with a torn biceps injury. “We’re winning. That means we’ve got depth. Bench has got to step in. When one goes down, the next goes up. We’ve got depth at the offensive line. You just keep rolling when someone goes down,” Peters said after Sunday’s win over Houston. The good news for the Birds is that Evan Mathis will be back in the Eagles starting lineup after missing most of the season with a sprained knee. Moving forward, the Eagles will have four of the five starters on the offensive line from last season. With Foles out of the lineup a rejuvenated Sanchez will have a chance to show that he can still be a starting quarterback in the NFL whether it’s here with the Eagles or somewhere else. Sanchez had a solid preseason the Eagles. For him, the remainder of the season will be his audition reel. 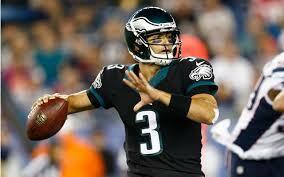 Last Sunday against the Texans, Sanchez completed 15-of-22 passes for two touchdowns and two interceptions. Head coach Chip Kelly said he’s confident in Sanchez moving forward because of the way he played in the preseason and his day-to-day approach during the regular season.